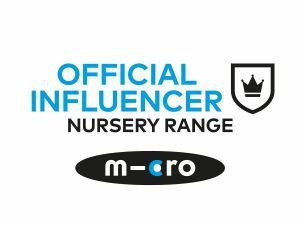 I’ve got a gorgeous brand to showcase this week, one that is local to me too! 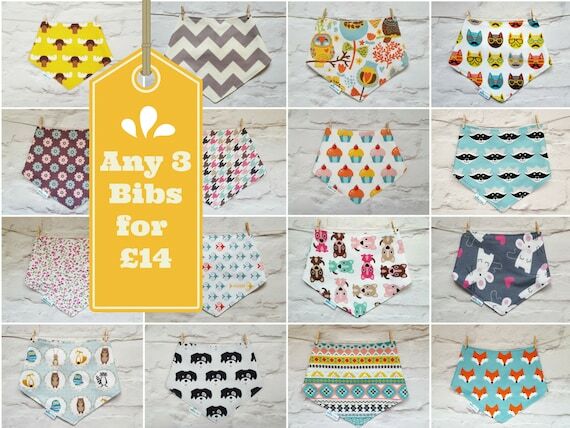 Hiku Designs is run by Aga, a mum who lovingly creates bibs, blankets and other baby bits in some gorgeous designs! Arlo was lucky enough to be sent a Bib & Teether set in an awesome racoon print. The bib is bandana style with a soft backing and two poppers to adjust the fit. Arlo isn’t a dribbly baby (thank the lord, and amber beads!) but has endured lots of dribbled banana, breadstick and carrot over the last few days plus some attempts at water from a beaker! Not only has nothing seeped through it’s come out perfectly in the wash too! The teether is a simple but very effective design, a towelling backed fabric that looks a little like bunny ears to me! The wooden ring they’re on is easily grabbable and easily chewable too! Of course if you’re not local you can still view and buy online via etsy, the image below shows you a small sample of the fantastic prints available and there are some great offers too! 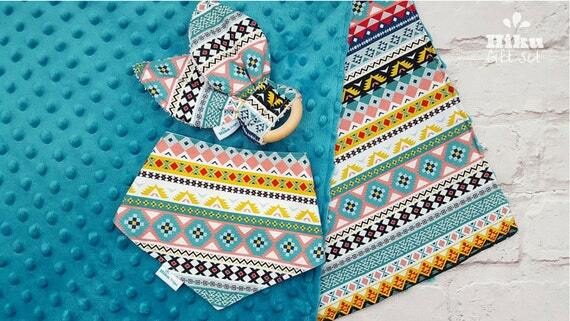 Amazingly Hiku Designs are offering a handmade Bib & Teether set to a lucky winner! You can choose any style currently available in the etsy shop too! No cash alternative is offered. 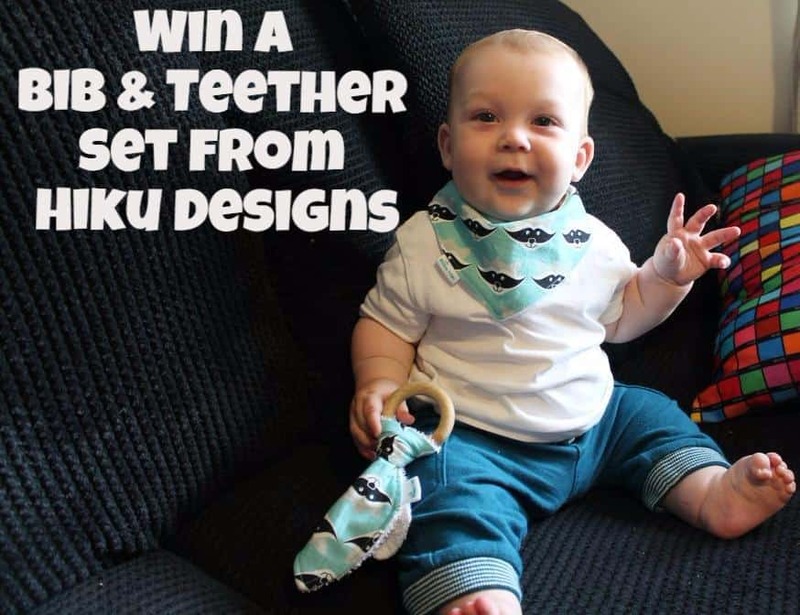 Prize is supplied Hiku Designs, winner can choose any design currently available in the etsy shop for their Bib & Teether set. The winner has 21 days to respond to their notification, after this time another winner will be drawn. My favourite design is the raccoons! I like the foxes best! I like the fox one! Oh my! What a wonderful competition. I’ve seen Hiku designs everywhere and love their designs! If I had to choose a design, although this will likely change several times, I’d pick the foxes… Or the raccoons… Or the nautical these. Dammit!